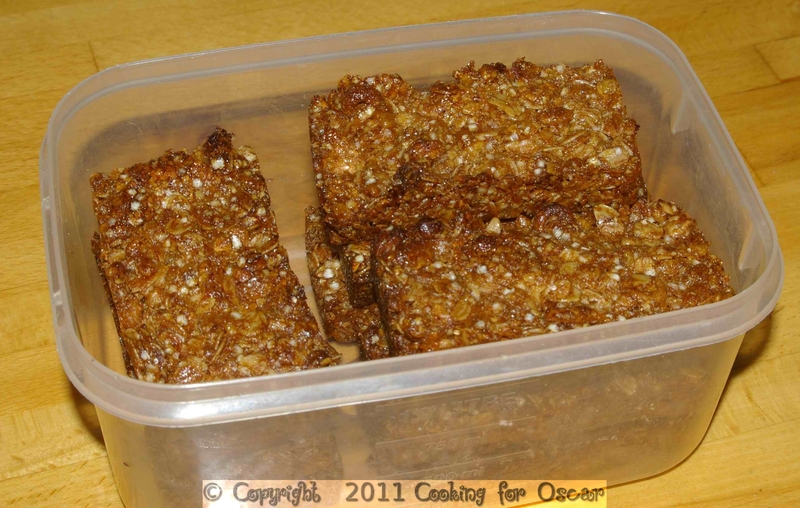 The idea for this recipe is from the Uncle Toby’s Cholesterol Challenge website, but it was made with just oats. This version combines a variety of cereals, and Oscar just loves them. They store well, so are great for taking to day care.